In our Science lessons we have been learning how to stay healthy. Last week we looked at what makes a healthy lunchbox. 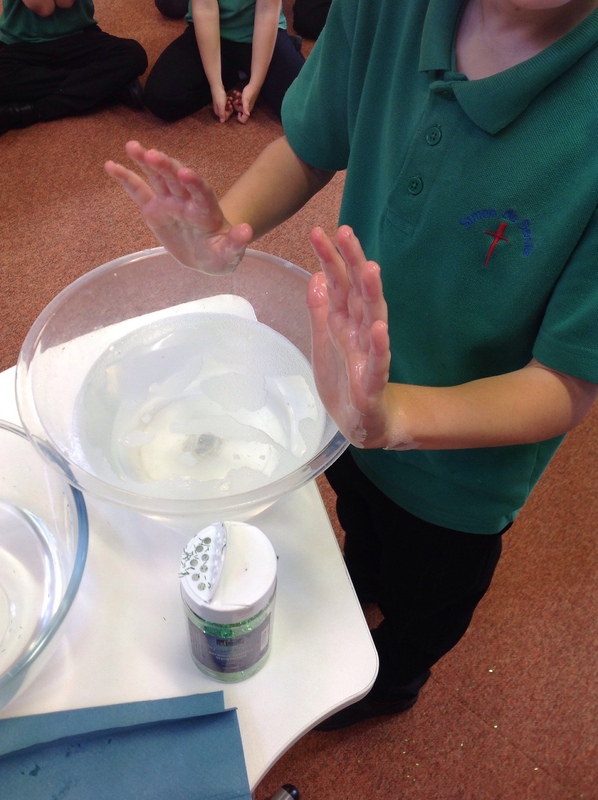 Today, we learnt how to wash our hands properly and wash those germs away! 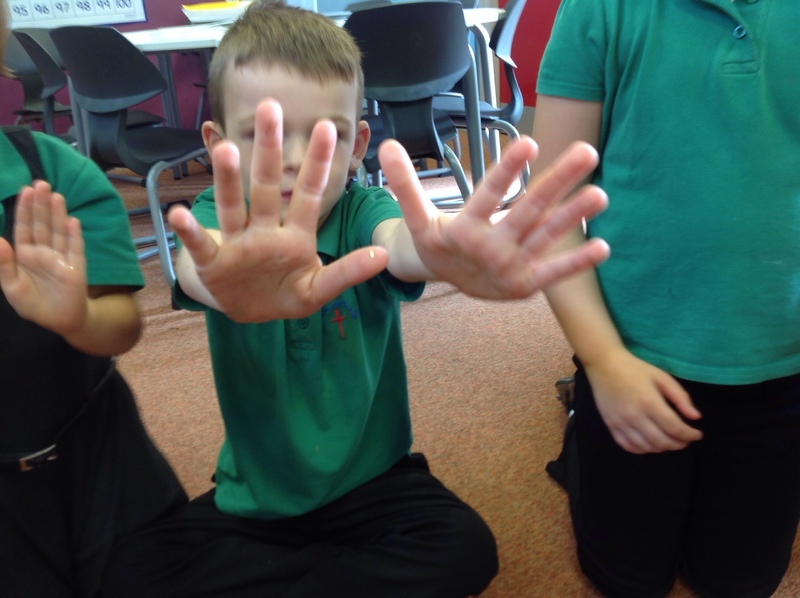 We learnt the Washy washy clean hands song first, looking at how to wash our hands carefully. Click here to watch the Washy washy clean video. Then we experimented with glitter! 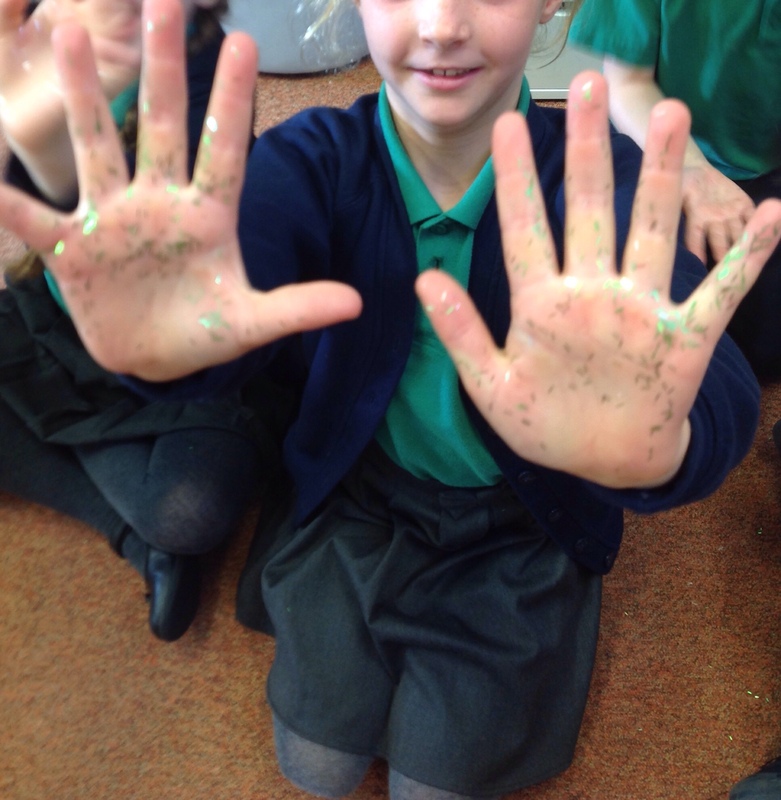 We put glitter on our hands and rubbed them together, to show how easily germs spread. Just a few moments later, there was glitter everywhere! It was in our hair, on our clothes and everywhere on the floor. This shows how quickly germs can spread and how important it is to wash our hands. First, we washed our hands in plain water, it took some of the glitter away, but not all of it. 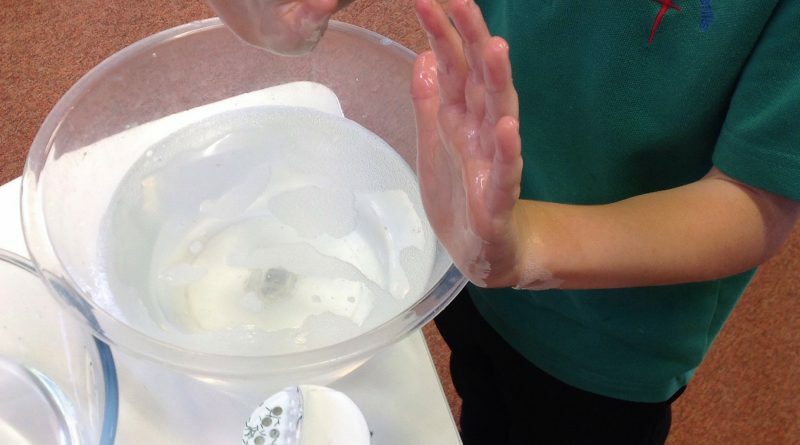 Then, we tried soapy water – by rubbing our hands together correctly in soapy water, the glitter came off. After, we drew posters to ensure people know to wash their hands. We are going to give these to the school council to see if we can put some up around school. Keep practising your hand washing at home!